In terms of the way a geologist operates, there is no past until after the assumption of uniformity has been made. 'The Theory of Geology', in C. C. Albritton (ed. ), The Fabric of Geology (1963), 63. Science has sometimes been said to be opposed to faith and inconsistent with it. 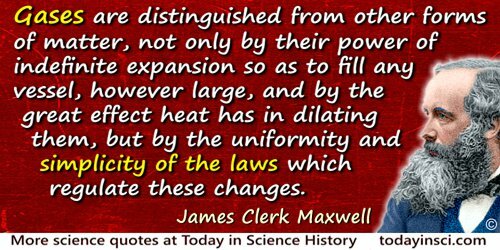 But all science in fact rests on a basis of faith for it assumes the permanence and uniformity of natural laws—a thing which can never be demonstrated. In Tryon Edwards (ed. ), A Dictionary of Thoughts: Being a Cyclopedia of Laconic Quotations from the Best Authors of the World, Both Ancient and Modern (1891), 165. 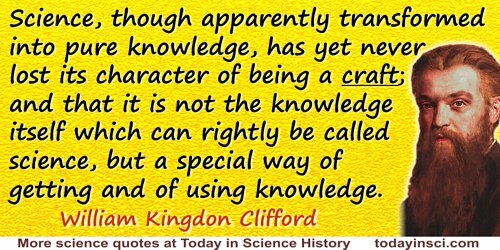 Science, though apparently transformed into pure knowledge, has yet never lost its character of being a craft; and that it is not the knowledge itself which can rightly be called science, but a special way of getting and of using knowledge. Namely, science is the getting of knowledge from experience on the assumption of uniformity in nature, and the use of such knowledge to guide the actions of men. In 'On The Scientific Basis of Morals', Contemporary Review (Sep 1875), collected in Leslie Stephen and Frederick Pollock (eds. ), Lectures and Essays: By the Late William Kingdon Clifford, F.R.S. (1886), 289. 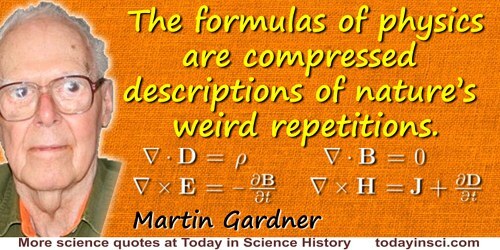 The aim of scientific thought, then, is to apply past experience to new circumstances; the instrument is an observed uniformity in the course of events. By the use of this instrument it gives us information transcending our experience, it enables us to infer things that we have not seen from things that we have seen; and the evidence for the truth of that information depends on our supposing that the uniformity holds good beyond our experience. 'On the Aims and Instruments of Scientific Thought,' a Lecture delivered before the members of the British Association, at Brighton, on 19 Aug 1872, in Leslie Stephen and Frederick Pollock (eds. ), Lectures and Essays, by the Late William Kingdon Clifford (1886), 90. 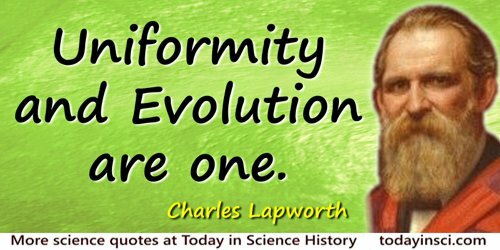 Uniformity and Evolution are one. Presidential Address to the Geology Section, Report of the British Association for the Advancement of Science (1892), 707. 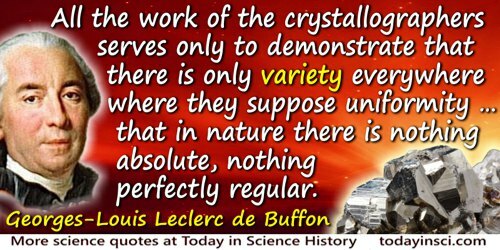 Without the discovery of uniformities there can be no concepts, no classifications, no formulations, no principles, no laws; and without these no science can exist. 'Personality Formation: the Determinants'. In Clyde Kluckhohn and Henry A. Murray (eds. ), Personality in Nature, Society, and Culture (1949), 37-8.